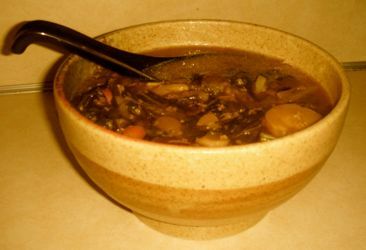 I make this soup whenever things in life get wild and crazy, when I feel like my head is off in the clouds and my feet haven’t touched the ground in days. Choose any downward-growing vegetables, pair with a whole grain bread and eat slowly. Preferably while sitting on the earth. Boil water (or broth) gently in a large stove top pot with lid. Add onions, garlic, sea salt and half of the herbs. Chop all other vegetables to bite size and add to pot. Add the rest of the herbs, and a splash or two of apple cider vinegar. Cover and simmer 15-25 minutes, until vegetables are soft and to your liking. Enjoy slowly, chew well... and ground yourself!